PLYMOUTH Leander and Mount Kelly both added more medals to their collection on the second day of the National Winter Swimming Championships in Sheffield. Leander’s Laura Stephens backed up her impressive gold in the 200m butterfly on Friday night by winning silver in the 100m butterfly final. She clocked a new personal best and club record of 57.62 seconds to finish just behind Loughborough’s Marie Wattel. Stephen’s club colleague Sophie Freeman, just 14, won the B final and claimed junior gold with a 59.01 second swim, which was a PB and club record. In the same final, Mount Kelly’s Emily Haimes was fifth in a club record time of 1:00.22. There was also a silver medal for Leander’s Tom Beeley (pictured top) in the men’s 200m butterfly A final. He claimed a new lifetime best and club record of 1:54.84 to finish behind Olympic star James Guy. Freddie Clampett was eighth in the same final, while Mount Kelly’s Sam Dailley was third in the B final. Mount Kelly’s Athena Clayson was another individual silver medallist. She clocked 1:02.67 to finish behind Loughborough’s Emily Crane in the women’s 100m IM. Canada’s Kayla Sachez did win the race but was competing as a guest and not in the national championships. Niamh Robinson was fifth overall and fourth in the championships with 1:02.90. In the B final, Leander’s Lana Broekhoven took victory in 1:04.01, with team-mates Tegan Drew (1:04.40) second and Madison Kemp (1:04.56) fourth. Mount Kelly and Leander both found themselves on the podium in the women’s 4x50m freestyle relay final. The Mount Kelly team of Haimes, Macy Lawrence, Clayson and Georgina Dennis took silver in 1:42.40, with the Leander team of Stephens, Drew, Freeman and Honey Osrin fourth overall and third in the championship with 1:43.65. Leander’s men won a national bronze medal in the 4x50m freestyle relay. They were fifth overall but third English team, with Mount Kelly seventh overall and Devonport Royal ninth. Plymouth’s Honey Osrin reached the women’s 200m backstroke A final where she clocked a PB and club record time of 2:10.58 to finish eighth and win junior gold. 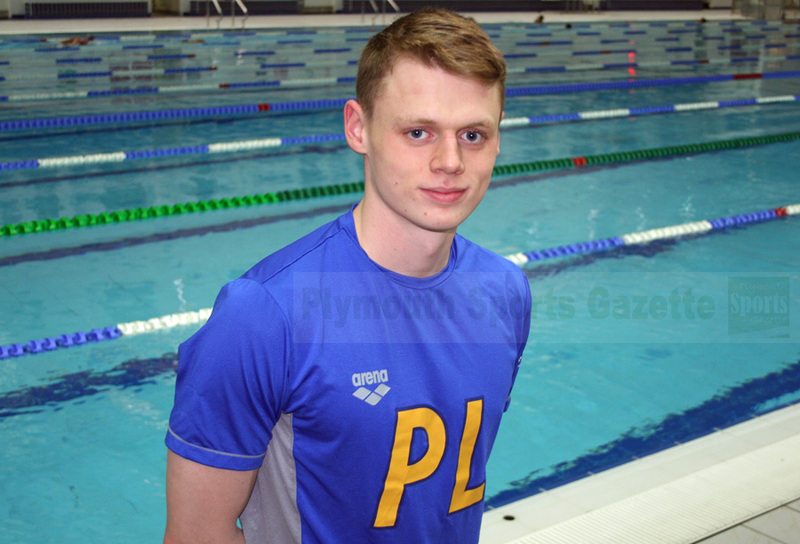 Mount Kelly 16-year-old Lawrence impressed in the 50m freestyle event. She reached the A final, where she came sixth in 25.56 seconds which was just 0.05 seconds off a British record. Her team-mate Haimes won the B final with 25.67 seconds. Fellow Mount Kelly swimmers Ben Harrison and Alessandro Burdisso also won B finals. Burdisso touched first in the men’s 50m backstroke B final in 25.26 seconds, with team-mate Sam Daley second in 25.33 and Harry Noble sixth in 25.77. Alex Mason reached the A final where he came seventh in 25.39. Harrison won the men’s 200m IM B final in 2:01.57. His team-mate Robbie Jones was fifth in the same race. Fellow Mount Kelly swimmer Robinson reached the women’s 50m breaststroke A final where she came eighth in 31.59. Leander’s Lucia Grant was ninth in the B final. Leander’s Adam Chillingworth reached the men’s 100m breaststroke final where he came eighth with 1:00.40. In the B final, Mount Kelly’s Oliver Travener was eigth (1:03.34) and Leander’s Roman Scherer ninth (1:03.40). The championships conclude at Ponds Forge on Sunday. Day 2 @Swim_England Winter Nats PL swimmers produced 5 individual and 2 relay medals.